Fliers love JetBlue, loathe Spirit. Wall Street agrees. 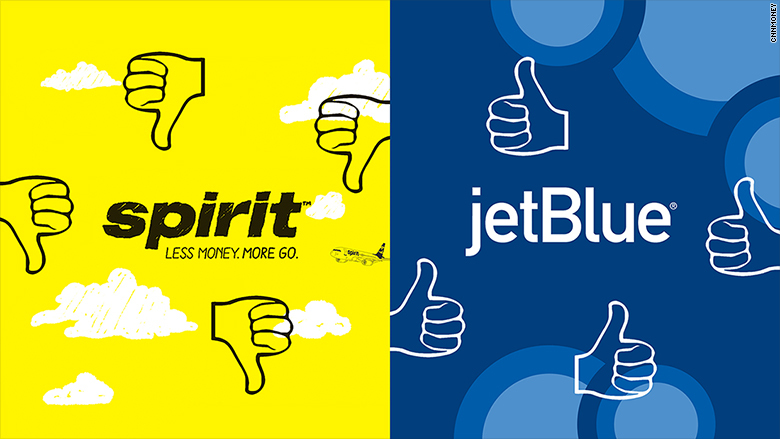 Spirit ranked worst and JetBlue was best in a recent consumer survey. Their stocks seem to reflect that as well. The customer is always right. Airlines may want to keep this in mind. Exhibit A: Spirit Airlines (SAVE) was recently ranked as the worst according to the American Customer Satisfaction Index. Spirit tries to keep the price of tickets down but it charges consumers for just about everything else -- such as printing your own boarding pass, water and carry-on bags. The company reported its latest earnings on Thursday. And guess what? So-called "non-ticket" revenue was down -- in part due to lower baggage fee revenue. 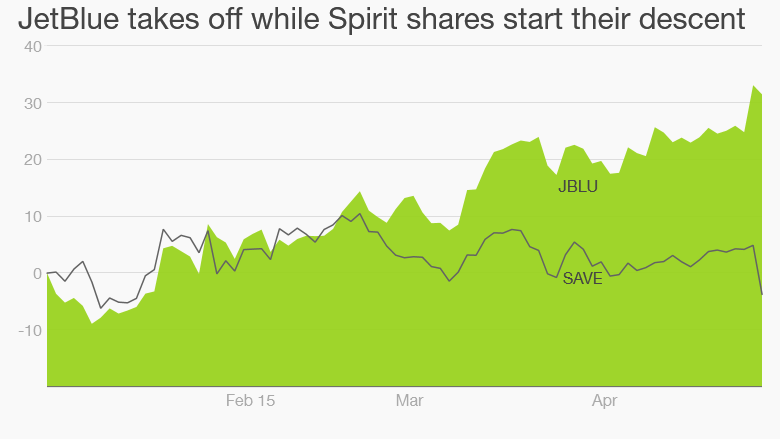 Shares of Spirit plunged 9% on the news. The stock is now down for the year. Exhibit B: JetBlue (JBLU) was named the most satisfying airline in the ACSI survey. Who doesn't love the chance to watch ESPN and chow down on those yummy Terra Blues chips? JetBlue reported earnings on Tuesday. The results were strong. The stock surged nearly 7% on the news and is up more than 30% this year. That makes it the best performing U.S. airline stock by far in 2015. To be fair, Spirit shares soared along with the rest of the airline sector in 2013 and 2014 thanks to strong demand for business and corporate travel as well as lower fuel prices. And most of the airline stocks have pulled back this year as fuel prices have stabilized. Investors may also be questioning whether or not the stocks really have that much more room to run following the huge gains of the past two years. The industry has done a good job of staying out of the fare wars that got them into such financial trouble historically. 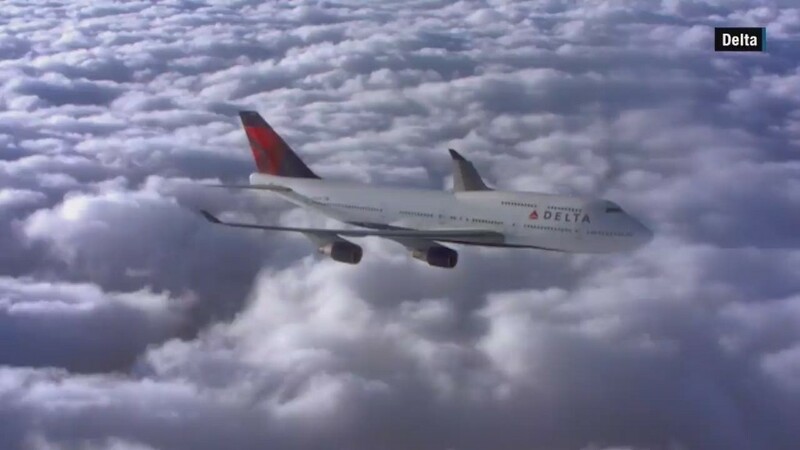 Mergers and bankruptcies have strengthened the remaining airlines. But there is some evidence that prices may be coming down. Spirit cited "overall fare compression" in many markets and increased capacity from competitors in the key Dallas market. Southwest (LUV) and American (AAL) have been extremely aggressive there. Shares of Southwest, American, Delta (DAL) and United (UAL) are all down this year. So is Virgin America (VA), which had a wildly successful stock market debut last year. But shares of Alaska Air (ALK) are up 10%. The company scored well in its debut on the ASCI this year and also had the lowest number of consumer complaints according to the Airline Quality Rating report. So it's worth noting that its stock has continued to rally this year along with JetBlue. Spirit is unlikely to abandon the business model that has differentiated it from the rest of the industry. But it might want to take steps to boost its image with consumers -- especially if some of its rivals are starting to lower fares. If Spirit can't market itself as cheap, then what's the alternative? Sophomoric jokes about sexual positions in an ad campaign? Oh wait. They've already done that. JetBlue, on the other hand, is proving that you can be popular with both demanding customers and fickle Wall Street traders.